EGYPT. Cairo. 2011. 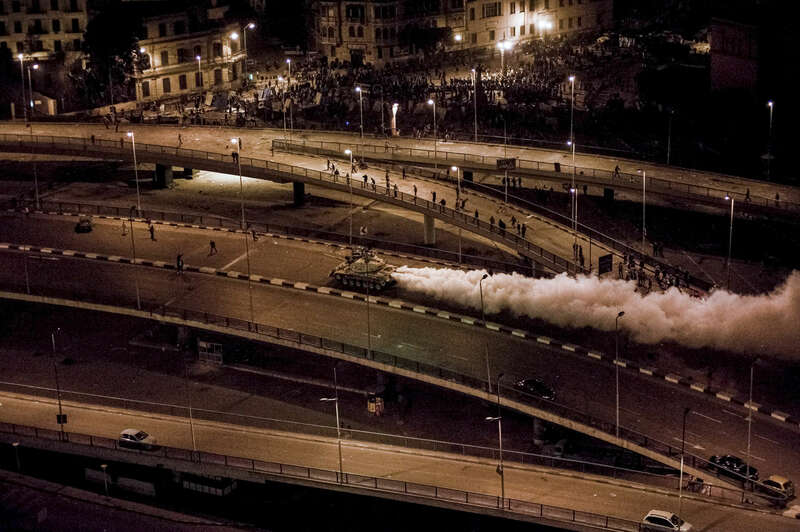 An Egyptian M60 tank (made in the USA) takes a new position during an all night street battle between Pro and Anti Mubarak fighters.